Biography: Tsabang Nole has completed his PhD at the age of 48 years. He is a botanist and ecologist with many skills in Ethnobotany, Ethnopharmacology and Environmental Sciences. Later on he obtained his post-graduation from the University of Yaounde 1, he started working at The Institute of Medical Research and Studies of Medicinal Plants where he has continued his research. Presently he is working as visiting lecturer in three Universities in Cameroon. 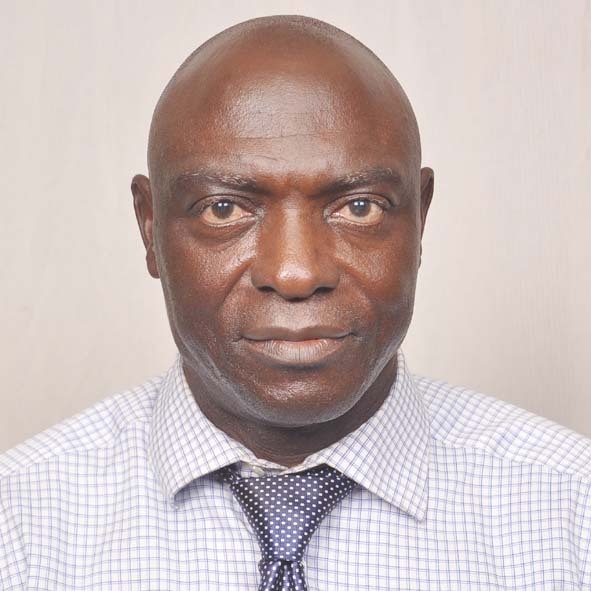 Tsabang Nole has 50 publications and 4 books published by Heifer Project International, Cameroon and he is editor and/or reviewer in many international journals. 1-NKONGNENECK B.A ; ZAFACK ; L. ; NGUENANG G.M. et TSABANG, N. (1998). Importance d’Euphorbia hirta Lin. (Euphorbiacée) à vertus thérapeutiques dans la région de Bangou, Biosciences Cameroun, vol. IV. Rapport de la 5e conférence de Biosciences et Sécurité Alimentaire PP. 469 – 474. 2 NKONMENECK, B.A. ; TSABANG, N. ; ZAPFACK, L. ; NSOOH DONGMO, Z. ; NGUENANG G.M., LANDO, G., CARLSON, T.J. et KEITA, A. Voie de recours thérapeutique du diabète et les plantes utilisées par les diabétiques au Cameroun : cas de Yaoundé et ses environs, Revue Méd. Et Pharm. Afr. Paris vol 14 – 2000 PP 89 – 98 Paris. 3 TSABANG, N. ; NKONGMENECK, B.A. ZAPFACK, L. ; NZOOH DONGMO, Z., NGUENANG, G.M. ; LANDO, G. ; Carlson, T.J. et Porter P. Lowry II (2001). Inventaire des plantes à vertus antidiabétiques dans la région de Yaoundé au Cameroun, revue Méd. Pharm. Afr. Vol. 15 - 2001 PP 87 – 94 Paris. 4 DONGMO, A.B., KAMANYI, A., ACHANG M.S., CHUNGAG-ANYE MKEH, B., NJAMEN, T. B., NGUELEFACK, TSABANG, N, WAGNER, H. (2001). Anti-inframmatory and analgesis properties of the stem bark extracts of Erythropheum suaveolens (Caessalpiniaceae), Guillemin & Perrottet, Journal of Ethnopharmacology 77 (2001) 137-141 ELSEVIER. 5 WANDJI J.; TILLEQUIN F. ; DULCIE A MULHOLLAND . WANSI J. D. ; TANEE Z. FOMUM ; FUENDJIEP V. ; LIBOT F. ; TSABANG N. 2002. Fatty Acid Esters of Triterpenoids ans Steroid Glycosides from Gambeya africana. Planta 33/1201/681, Nat. Prod. Chem. 6. DONGMO A. B. ; KAMANYI A. ; DZIKOUK G. . CHUNGAG-ANYE MKEH B. ; TAN P. V. ; NGUELEFACK T. B. ; TSABANG N., BOPELET M. ; WAGNER H. 2003. Anti-inflammatory and analgesic properties of the stem bark extract of Mitragyna ciliata (Rubiaceae) Aubrév. & Pellegr. Journal of Ethnopharmacology 84 (2003) 17-21. Elsevie. 7. ZAFACK L.; DIBATTO WATATT T. ; TSABANG N., Phytothérapie des maladies infantiles au Cameroun : cas des villages Foré-Dschang (Ménoua) et Batou (Ndé). Revue et médecine et pharmacopée africaine, Paris. 8. TSABANG N. ; NKONGMENECK, B.A. ; LEJOLY J. ; NGUENANG G.M. ; FONGNZOSSIE F. E. ; KOUEKE P. ; BIYITI L., TAMZE V. ; FOKO J. ; MBITTA MESSI J. C. H. ; ATANGANA NDONGO J. 2005 Médécine traditionnelle : une méthode d’indentification des diabétiques et/ou des hypertendus et desplantes pouvant améliorer leur état de santé. Cameroon Journal of Ethnobotany. Vol. 1 n o 1 Yaoundé, pp. 53-59. 10.WANDJI, J., TILEQUIN F., DULCIE A. MULHOLLAND, Z. FOMUM ; JOVITA CHI SHIRRI ; TSABANG N. 2003 Pentacyclic triterpenoid and saponins from Gambeya boukokoensis. Phytochemistry ; Pergamon Vol. 64 pp 845-849. 11.DONGMO B., BIYITI, L’MBITTA MESSI J. C. H., TSABANG, N. ATANGANA NDONGO N. J. 2008 Les Rites de Purification en Médecine Traditionnelle au Cameroun : Rev. Med. Pharm. Paris. 13. ELVINE. M.P. NGUEFACF, KATHLEEN B.NGU, ALEX ACTHADE, TEOPHILE DIMO, NOLE TSABANG and JOSEPH MBAFOR (2005). Phytochemical composition and invitro effets of the ethyl acetate bark extract of Distemonanthus benthamianus Baillon (Caesalpiniaceae) on Staphylococcus aureus and Streptococcus agalactiae. Cameroon Journal of Expérimental Biology, Vol. 01 No 01, pp. 50-53. 14.DONGMO, A. B., GALBA BEPPE, J., TSABANG N., KAMANYI A (2006). Analgesic activities of the sthem bark extract of Terminalia superba Engl. Et Diels ( Combretaceae). Pharmacologyonline 2: 171-177. 17.T. Jiofack, C. Fokunang, V. Kemeuzé, E. Fongnzossie, N. Tsabang, R. Nkuinkeu, P.M. Mapongmetsem and B. A. Nkongmeneck Ethnobotany and Ethnopharmacopoea of South-West Ethnoecological Regon of Cameroon. Journal of Medicinal Plants Research. Vol. 2 (8).pp 197-206 August 2009. 21- Agbor G. A., Tarkang P A., Fogha J.V.G., Biyiti A. L., Tamzé V., Mbita Messi J. C. H., Tsabang N. Longo F., Tchinda A .T., Dongmo B., Dongfasiteli T N., Mbing N J., Kinga Joseph, Ngide R.A. and Simo D. Acute and subacute toxicity of aqueous extract of Morinda lucida stem bark . 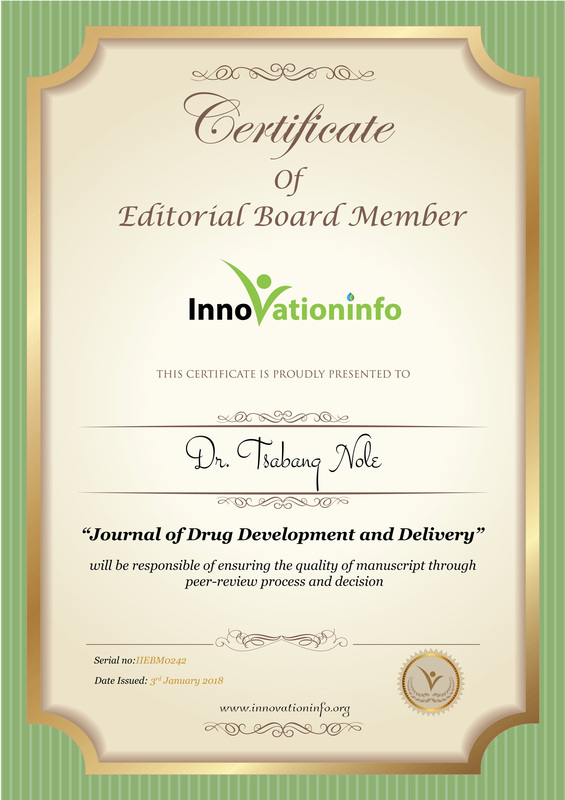 Journal of Pharmacology and Toxicology 7 (3) pp.158-168, 2012. 24-Guedjeu Nicole, Fodjo Robert; Tadjouteu Fullbert, Jiofack Réné B T., Tsabang Nolé, Fokunang Charles et Fotso Simon (2012) Médecine Traditionnelle Africaine (MTR) et Phytomédicaments : Défis et Stratégies de Développement. Health Sci. Dis. Vol 12 (3) September 2012. 26- Donfagsiteli Tchinda Néhémie, Hubert Jean Claude Mbita Messi, Fotso Bernard, Nzeundji, Tsabang Nolé, Dongmo Bernard, Doungous Oumar, Protus Arrey Tarkang, Aaron Carver, Omokolo Ndoumou Dénis (2013). Improving propagation methods of Ricinodendron heudelotii Baill. From cuttings. South African Journal of Botany, 7 p.
28- Tchokouaha Yamthe L. R., Tsouh Fokou P.V., Jiatsa Mbouna C., Kamumoe R., Tsabang N. (2015). Extracts from Annona muricata L. and Annona recticulata L. (Annonaceae) potently and selectively inhibit Plasmodium falciparum. Medicine, 2, 55-66 pp. 30- BMC Complement Altern Med. 2014; 14: 142. 32- Nolé Tsabang, Stella Kadjob, Rose N. Mballa, Clement G. Yedjou, Nga Nnanga, Néhémie T. Donfagsiteli, Alembert T. Tchinda, Gabriel A. Agbor, Claudine Ntsamaand Paul B. Tchounwou (2015). New approach for the development of improved traditional medicine: case of a preparation of an oral hypoglycemic medicine from Laportea ovalifolia (Schumach. & Thonn.) Chew. (Urticaceae) Molecular Pharmaceutic & Organic Prossess Research 6 p.
33- Nole Tsabang, Clement Yedjou, WL Tsambang Djeufack, Alembert Tiabo Tchinda, Néhémie Donfagsiteli Tchinda, Gabriel Agbor Agbor, Paul Bernard Tchounwou and Aloys Bernard Nkongmeneck (2015). Treatment of diabetes and/or hypertension using medicinal plants in Cameroon. Medicinal & Aromatic Journal 5 p.
34- Nole Tsabang, WL Tsambang Djeufack, Armel Nouboudem Tedjou, Alain Bernard Dongmo, Somwa Denis, Gabriel Agbor Agbor and Aloys Bernard Nkongmeneck (2015). Ethnopharmacological surveys’ methodologies for medicinal plants uses discovery and environmental threatens on recorded plants from indigenous knowledge in Cameroon. Global Journal of Medicinal Plants Research 12-22 p.
37- Nole T, Lionel TDW, Cedrix TFS, Gabriel AA (2016) Ethnomedical and Ethnopharmacological Study of Plants Used For Potential Treatments of Diabetes and Arterial Hypertension by Indigenous People in Three Phytogeographic Regions of Cameroon. Diabetes Case Rep 1:110. 38- Tsabang N, Ngah N, Estella FT, Agbor GA (2016) Herbal Medicine and Treatment of Diabetes in Africa: Case Study in Cameroon. Diabetes Case Rep 1:112. 39- Tsabang Nole, Fongnzossie Evariste, Bongoe Adamou, Dongmo Bernard, Donfagsiteli Tchinda Nehemie, Tchinda Tiabou Alembert, Agbor Gabriel, Zambou Francois and Nguelefack Telesphore Benoit (2016) Ethnopharmacological Studies for Sustainable Development in Cameroon Research and Reviews: Journal of Pharmacy and Pharmaceutical Sciences, RRJPPS: Volume 5, issue 3, 38-56p. 49- Tsabang N, Tsambang DW L. A Different Approach in the Traditional Treatment of Diabetes and of Antidiabetic Plants, Discovery in Cameroon. Glob J Pharmaceu Sci. 2017; 3(4): 555617.